January is Animal Awareness Month at COMPARITY! 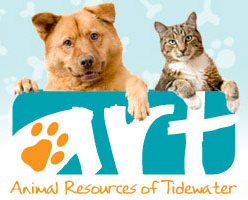 Throughout January COMPARITY will donate $10 to Animal Resources of Tidewater (ART) for every comparison completed. Use this convenient referral link: bit.ly/Compare4ART or simply mention ART to one of our agents and we will make the donation on your behalf – there is no purchase necessary. Help us help our best friends and we’ll help you save money.